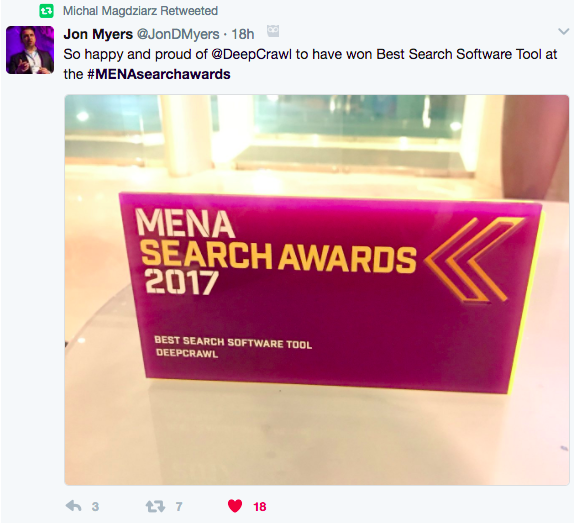 DeepCrawl is named ‘Best Search Software Tool’ at the prestigious MENA Search Awards 2017. Dubai 10th of May 2017: We are proud to announce we have won Best Search Software Tool at the MENA Search Awards. The MENA Search Awards celebrates the expertise, talent and achievements of the search industry in the Middle East & North Africa. 2017 marks the first MENA Search Awards: thus we are all the more excited to claim the first title in history at this prestigious awards ceremony. We thank the judges for their hard efforts in evaluating the excellent selection of nominees. 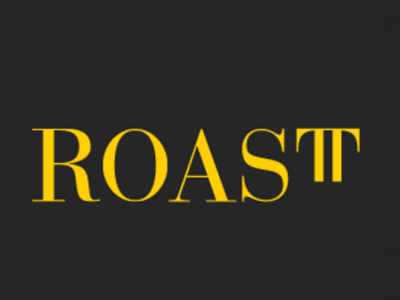 Further, we would like to give a special thank you to some of our MENA clients including: Souq.com, William Hill, DTCM, Resolution Media, MEC MENA and RBBi Performance.